Joanie’s education wasn’t focused on food. But she meandered her way through her career and found herself working alongside those involved with food. And she loved it. So, one day she took a leap of faith and quit her job and started her blog. In that order. Her words of wisdom: Don’t let fear prevent you from doing something that could change your life! Joanie and Marly spend some time talking about fear. They agreed that the fear of the thing you’re contemplating — maybe starting a blog — can be worse than the actual doing of that thing. My worry and thinking of the thing is worse than the doing of it. Marly explains that the physiology of fear is similar to excitement. In both fear and excitement you will experience a faster heartbeat, sweating, shallow breathing, etc. You interpret that as fear, but it may also be excitement. You may be excited to start a blog, become a speaker, or start a YouTube channel. You just have to move past or change your response to that physiological experience. Joanie agrees and suggests that harnessing fear in the right direction can create a better outcome. Joanie describes herself as both a Food photographer and a Food blogger. In fact, over the years she’s had no fewer than 3 different food blogs. Shadow Careers. Sometimes we don’t know where we are headed but when we look back it seems to all fit in together. Joanie talks about her motto that “done is better than perfect.” Sometimes perfectionism can get in the way of being productive. But, then again, sometimes passion will cause us to take that shot again and again until we get it right. How can you tell the difference between good and bad perfectionism? When the desire to take the shot again is born from the joy of the work or the outcome, that’s passion. But when you’re driven by fear or some kind of negative emotion causing you to obsess over details most people will not pay attention to, that’s a form of perfectionism that can hold you back. 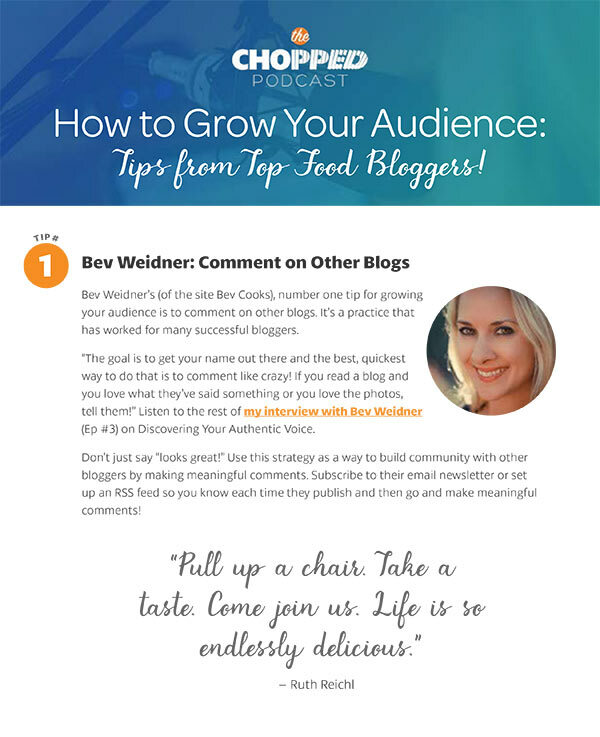 This is the podcast for encouragement, interviews, tips, strategies and lots of soul searching about what we’re doing in this community of bloggers with a focus on food and health and making a living online. 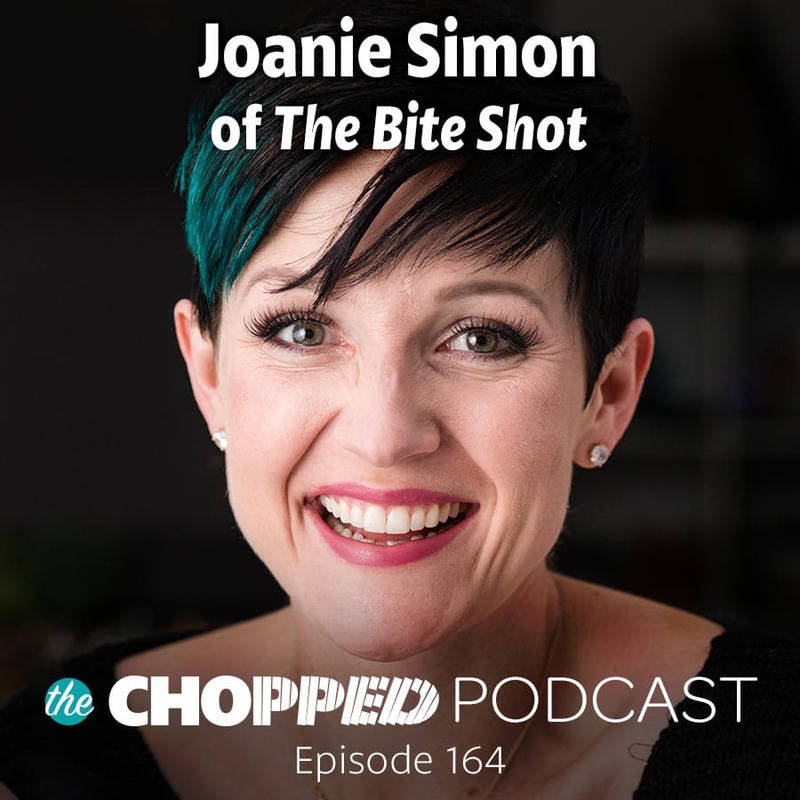 Today’s episode features Joanie Simon sharing how taking the leap to start her food blog changed her life! Connect with Joanie Simon on her site by the same name. Or connect with her YouTube Channel, The Bite Shot.